I haven't talked much about running on the blog for a while. There are many factors on this but the main reason being I lost my drive. I needed something new, something fun, something different to bring me back to the running game. Well I found it! Friends, I have wanted to run this race from the day I ran my first Half Marathon. Timing hasn't worked out until now since I was always on a cruise the weekend of this event. For the first time in 6 years, I am sitting out WDW Marathon Weekend and not going on my annual January girls cruise. 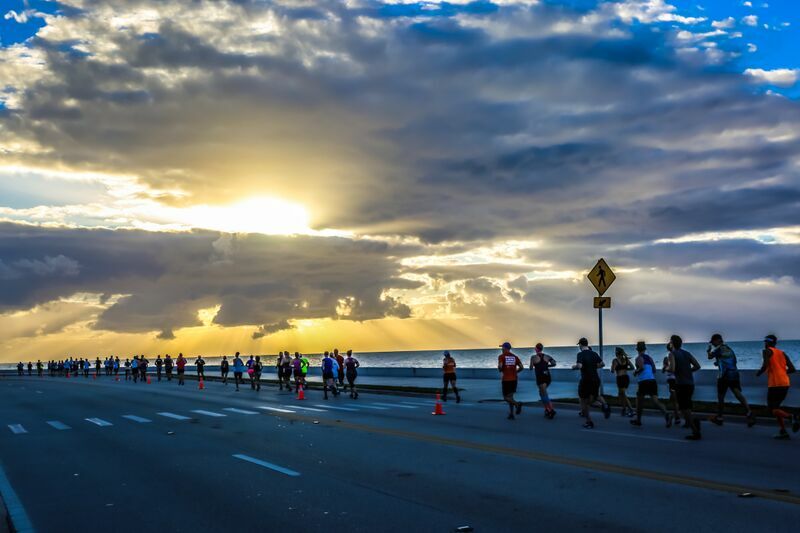 Instead, I am headed down to Key West to run this beautiful race. 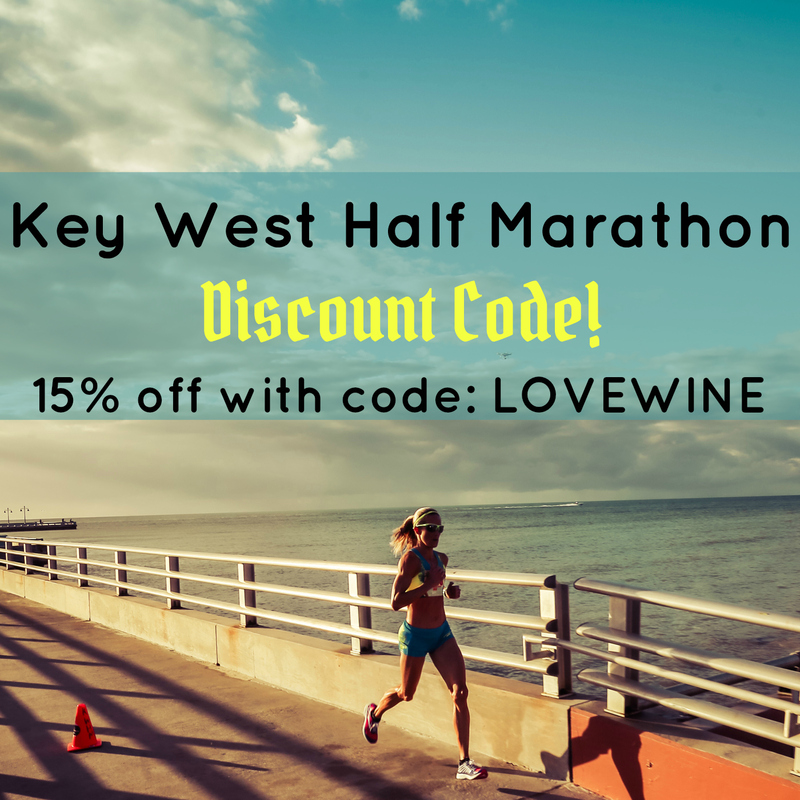 The 20th anniversary of the Key West Half Marathon will take you through historic Old Town and the waterfront. I couldn't think of a better place to run a flat 13.1 miles! The race begins at 7 a.m. and will be very scenic. 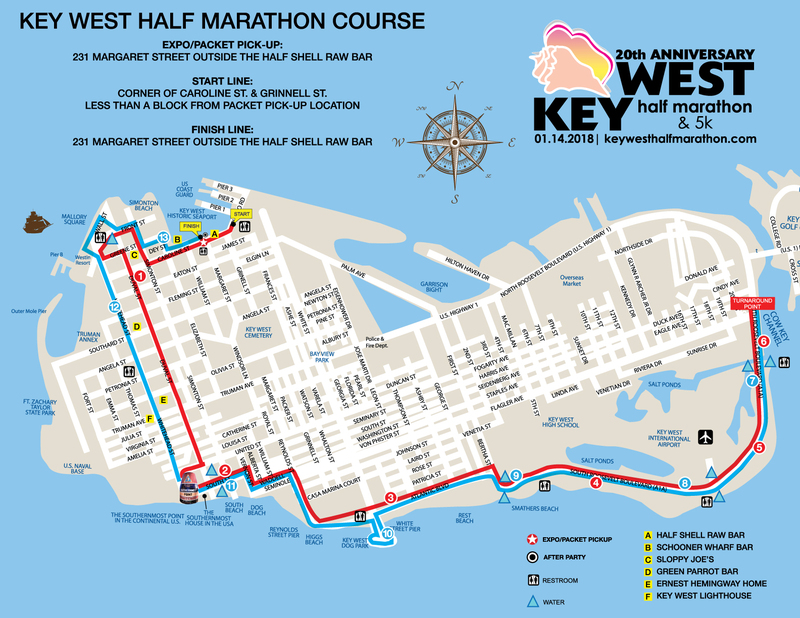 The location of the 2018 Key West Half Marathon is the Key West Historic Seaport at the foot of Margaret Street. 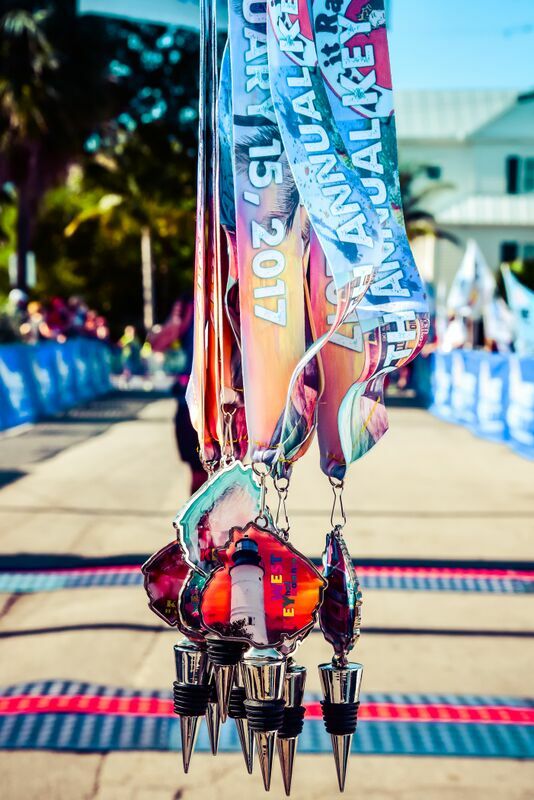 Being this is the 20th Anniversary of the Key West Half Marathon, there will be an big celebration for all runners. A 20th anniversary post party and concert, 20th Anniversary Finisher Medals, free beer, unique fully sublimated gender specific race shirts, race bags, lots of free giveaways, great raffle prizes and winner's awards. In the years past, the medals have been wine corks. You know I am all about that! 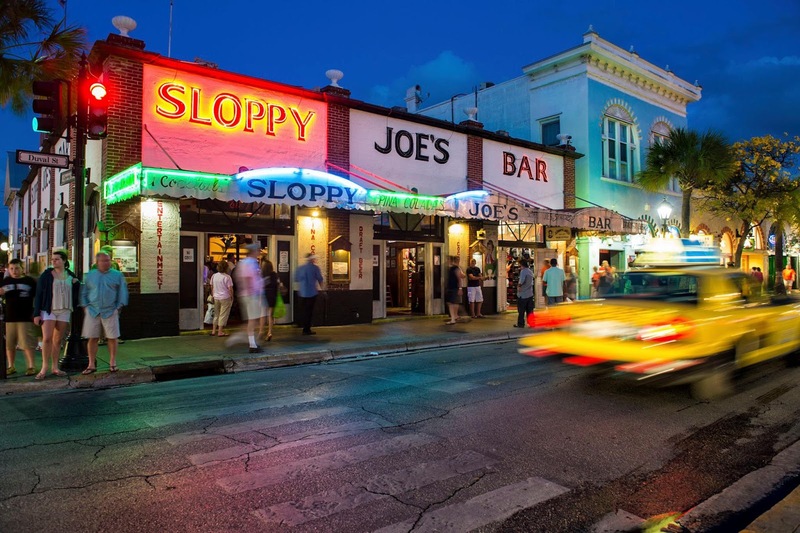 Key West is home to dozens of bars and restaurants. You can create your own pub crawl or join an organized one. From nightlife to people watching, you are sure to have a great time in Key West. My favorite martini resides in Key West - the Key Lime Martini at White Tarpon. I've tried many and none have compared to this bad boy - be careful, it's sneaky strong! For those not wanting to run 13.1 miles in Key West, there are options to either do the 5K or padleboard race (or even a combo!). That sounds like a ton of fun to me. I also must ad, as a lifelong Floridian, Key West was never a destination I would say was easy to travel to - until now. 8 hours in the car, 4 of which are spent on a bridge and tons of traffic is not my idea of an escape! We were very pleased to learn that Silver Airways flies direct from both Tampa and Orlando. For less than $200, we will be to Key West in 45 minutes. So worth it! Have you ever ran this race before? I would love to hear all about it!